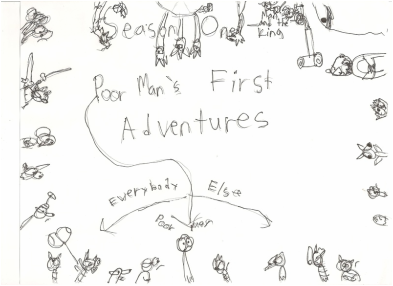 If you want to see some of the first Poor Man has to offer, check out season one. Season one is when he faces the Queen, runs for president, goes camping, and goes on a magical fish trial. Don't ask. Poor Man returns for more adventures, but there's a catch. When each day passes, The Masked Shadow becomes more powerful, and now everyone has an test to pass, and Poor Man always has a waffle to eat. Follow Poor Man as he becomes a super hero, gets caught up in a kidnapping, actually joins the zebra gangsters. and we hear the origins on how it all began.